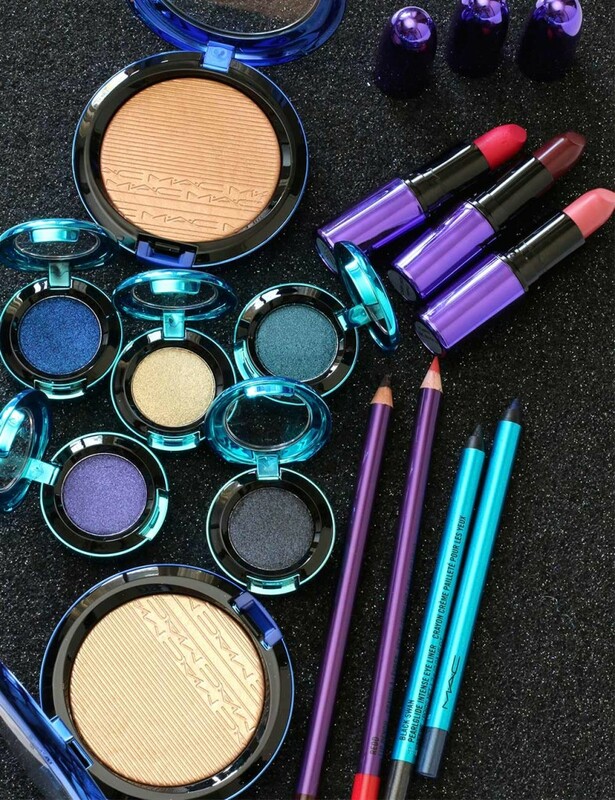 This year’s Holiday Collection at MAC is beautiful! Lots of shimmer and glitter to go around. It is a great jewel toned collection, which makes it easy to start moving those colors into your fall and winter wardrobes. The small round Colourdrenched Pigments deliver both the intensity of the colors you see in the pots and the shimmer. Sometimes with a glittery eye shadow you will tend to lose out on some of the pigmentation. That is not the case with these pigments, as both the color and shimmer remain in equal balance. The highlight area above the cheekbone is the In Extra Dimension Skinfinish in “Oh, Darling.” It is a beautiful warm, honey gold color. 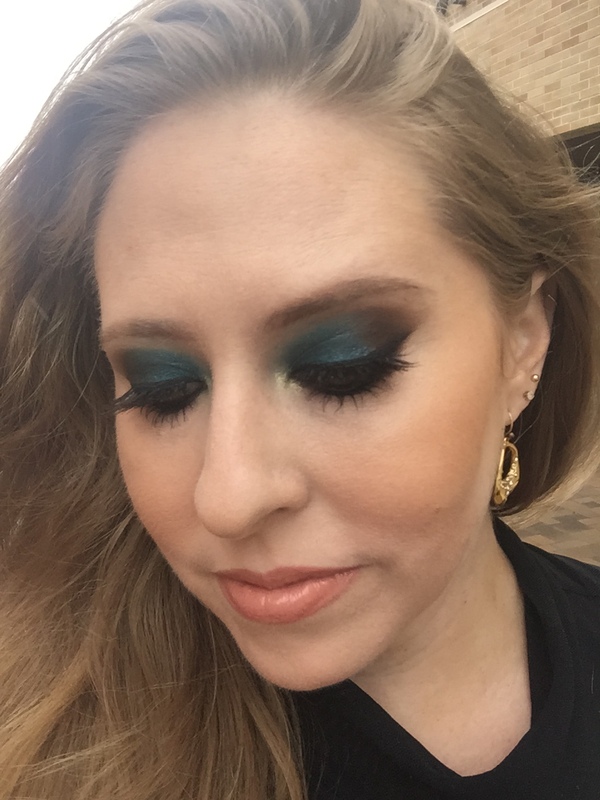 The eyelashes are MAC #35, with no trimming. The foundation is MAC Studio Waterweight with SPF 30. It has a nice amount of dewiness to the finish, while still providing coverage. It is by far my new fave foundation! The mascara is Upward Lash and is my new favorite mascara since the Studio Fix has been phased out. If you’re out there considering the new Magic of the Night holiday collection, go give it a try. Some amazing new and different textures, and great jewel toned colors! Also, if you haven’t tried to newer foundation, Studio Waterweight or the mascara, Upward Lash, give those a try too, AH-MAZING!